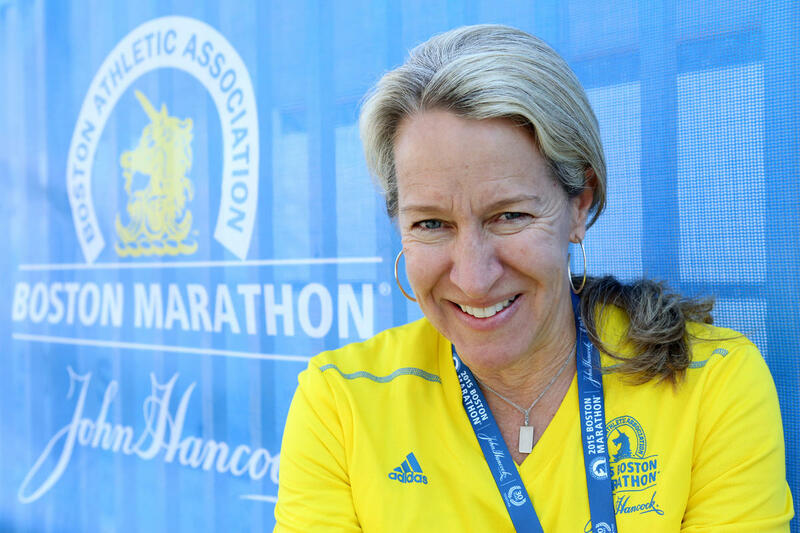 (Boston, MA – 4/19/15) Sorrel King of Baltimore is running the Boston Marathon for the Josie King Foundation, Sunday, April 19, 2015. Staff photo by Angela Rowlings. In the aftermath of the 2013 bombings, the Boston Marathon has become a place where runners congregate to cope with tragedy. Victims will take on the 26.2-mile course alongside countless others who use running as a tool to overcome a myriad of losses. Sorrel King will be taking on Heartbreak Hill for the first time today. For King, running was crucial in overcoming the loss of her 18-month-old daughter, Josie. In 2001, Josie King suffered second-degree burns that covered over half of her body following a water heater malfunction at the family’s Maryland home. She was admitted to Johns Hopkins Hospital, and suffered from severe dehydration. While there, she fell victim to oversedation. One morning it got to the point that her doctor ordered she no longer be given any more methadone. Later in the day, a nurse came in with a syringe filled with the painkiller. The nurse assured Sorrel King that orders regarding her daughter had changed despite the doctor’s earlier recommendation, and that she was to administer the medication. The mother put her faith in the doctors, and shortly after the injection her child’s heart stopped beating. Josie King suffered severe brain damage, and ultimately Sorrel King and her husband had no choice but to take her off of life support. Running was what Sorrel King turned to. As a result of the medical error, King was awarded a settlement. She was reluctant to take it, but ultimately decided to form a foundation in her daughter’s memory. The foundation strives to curb medical errors and works with hospitals to streamline communication between doctors. According to King, 98,000 people die from preventable errors annually. 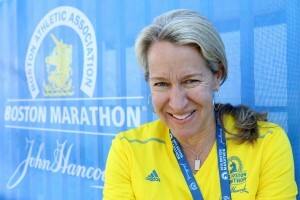 King is generally uncomfortable asking for money, but will be accepting donations for her foundation (www.josieking.org) for the first time at the 119th running of Boston’s oldest race. It will be her fourth marathon in the last 18 months. Today, King won’t be alone as she strides to overcome grief and anger. Click here to read the article on the Boston Herald.